All proceeds will benefit Bears Care, the charitable beneficiary of the Chicago Bears. NorthShore University HealthSystem, the Official Healthcare Partner of the Chicago Bears, will partner with Bears Care again this year to help promote this important initiative. 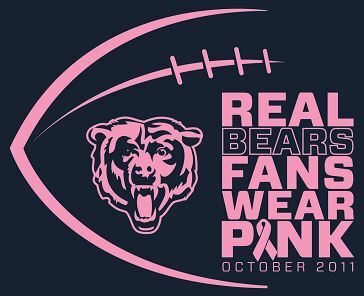 With the success of last year’s campaign, Bears Care was able to distribute over $160,000 to organizations in the Chicagoland area that provide care, assistance and support services to breast cancer patients and their families. Thank you for teaming up with Bears fans across the country to make a difference.